He will stop at NOTHING to get the Energems from the Power Rangers Dino Charge, including becoming an articulated toy for children! Releasing initially in the final wave of the Power Rangers Dino Charge 5″ figure line as well as being repackaged for one of many (someone at Bandai America is trolling collectors with the current distribution of toys) different waves in the first release of the 5″ Power Rangers Dino Supercharge figures, he’s the first original villain to receive a toy in a mainline release in … a very long time! This gallery is also part of our Toku Toy Box Giveaway eligible threads! In fact, Sledge is one of the figures that’s included in the Power Rangers prize portion of the giveaway! Be sure to click here for full details and prizes so you don’t miss a chance to win! Check out 40 images of Power Rangers Dino Charge 5″ Sledge as well as our review of the figure. Don’t forget to post in the thread so you can enter in Toku Toy Box! Not a member? That’s an easy fix – simply click here to register and begin posting! Registration is free, your personal information is protected, and we never E-mail you with our news/updates. See you on the forums! 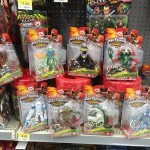 Previously reported by our good friends on Rangerboard, the new wave of Dino Charge Villain Figures have been found! Consisting of Sting Rage, Slammer, Spellbinder, the Vivizord and the leader of the villains, Sledge, this new wave of figures adds more monsters for your rangers to fight! Found by Instagram user mikey_the_husky in Dinuba, CA, the wave has also been found by Tokunation user and Super Moderator KamenRiderOOO in Long Beach, CA. Like the rest of the figures, these are at standard retail price. As it seems that the West Coast has gotten these in now, it’s only a matter of time that they’re released elsewhere. Happy hunting! A brand new Power Rangers Dino Charge mobile game has been released for iTunes (coming soon for Google Play) by the Ireland-based company StoryToys! 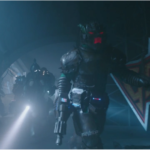 Featuring both a 2D narrative as well as 3D battles, fans of Power Rangers Dino Charge will be able to battle Sledge and his evil alien monsters through 7 chapters and 20 total levels. The game’s full features are listed below. You can download the game NOW on your mobile or tablet device through iTunes for free. There are no in-app purchases other than a one-time purchase of $3.99 to unlock additional chapters. For the full press release, click “Read More”! The Official Power Rangers YouTube Account has updated with the trailer video that was shown at San Diego Comic Con 2015 teasing new episodes starting August 29th. You can check out the best quality video below. What did you think? Join in our already on-going discussion of this awesome trailer! Next up in our official on the floor coverage of San Diego Comic Con 2015 are image from Bandai of America’s Power Rangers Dino Charge/Dino Supercharge displays! Again new & old items alike are on display!